a3Genealogy: From Research to A Book - Who Is Alice Eversman? 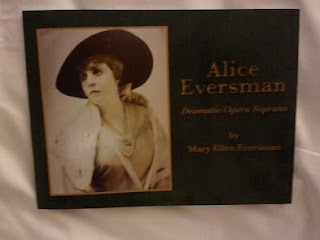 a3Genealogy congratulates Ms. Mary Ellen Eversman for her newly released 2013 account of Alice Eversman, Dramatic Opera Soprano. The Eversman story uses documents and photos, uncovered in family records and an extensive Library of Congress collection, to carry the reader from Germany in 1808 to Illinois. What makes this ancestral story intriguing? It's the story of how a 25 year old American soprano, Alice Eversman, entered the opera scene at a time when European- particularly Italian - Prima Donnas dominated the stage. Alice Everman's operatic career included top international opera companies, and renown voice trainers. 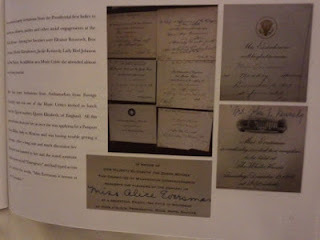 Her family, friends and even White House invites, from U.S. President Taft to Nixon, are shared in her story. Mary Ellen, author, gives us a look into the close-knit family, their successes and challenges. Researchers at a3Genealogy are honored to have contributed to this ancestral story. And, we thank Mary Ellen Eversman for giving us the opportunity to learn of one of American's leading dramatic opera sopranos. Thank for sharing this wonderful information and role with this project! I must make a mental note to share info about this new book with my niece who received her Doctorate in Classical Performance in May 2011. She is going to love this info!